I don’t run much but on the odd day that I do go for a little jog I cant imagine anywhere better than this flat land route via some of Scotlands most famous modern buildings. This is a simple 5K flat land route that you can run, jog or walk round with ease. 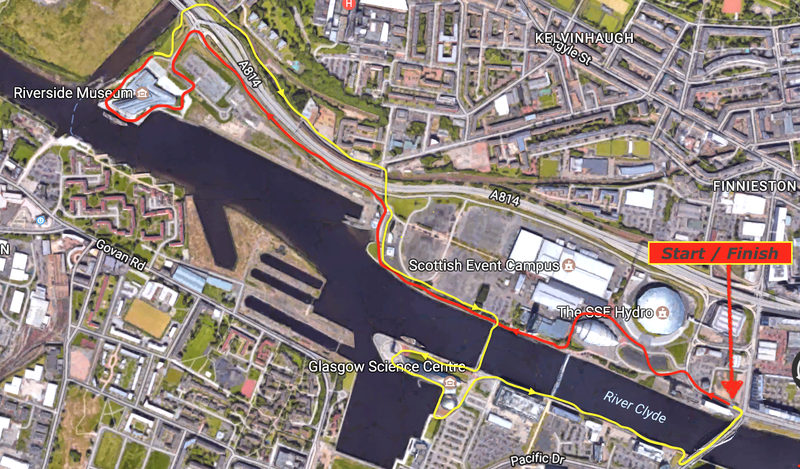 The route starting at the Finnieston Crane first takes you past the SEC Hydro and Armadillo where you would be right in thinking you were running round a space-age parking lot. 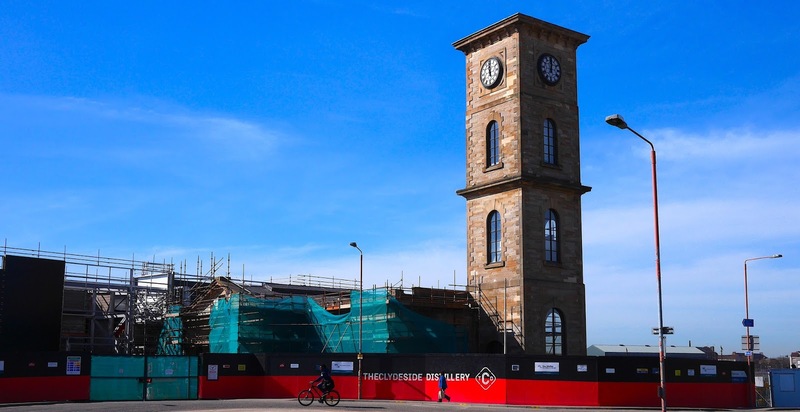 Along a little further and there is the new Clydeside Distillery, an old pumping station formally used on the docks where the Hydro now sits. Opening later this year (2017) this place will have a visitor centre, distillery tours and a restaurant - mid run whisky anyone? Nearing the midway point you will reach the Riverside Museum, this is actually one of Europe's best modern museums with a vast range of history from Glasgow and the Clyde. On the way back I like to take to the other side of the motorway before coming back across at the distillery. From here your on the same route until the Millennium Bridge where you can cross and run around the Science centre, past the Glasgow Needle and back to the riverside. Passing BBC Scotland and STV’s headquarters you will come across the South Rotunda, this is one of two Rotunda which formed the original Clyde Tunnel. Built in 1896 a tunnel deep beneath the Clyde linked these Rotundas, each one contained ramps and pulleys to allow your horse and carriage to be lowered allowing safe passage to the other side. With the end in sight the last of my route will take you across the Clyde Arc (Squintly bridge) and past the North Rotunda (now contains some not bad restaurants) before finishing off at the Finnieston Crane. During the day there is plenty of parking at the SEC or on the near by streets but I wouldn’t recommend trying to park after 6pm, this place gets mobbed with the Armadillo, Hydro, Exhibition Halls and rush hour traffic all battling to get through the Clye Arc. Alternatively you catch the X19 bus which runs for the city centre to right outside the Finnieston Crane (£1.30 each way) or walk from Central Station along the river (20min to starting point).